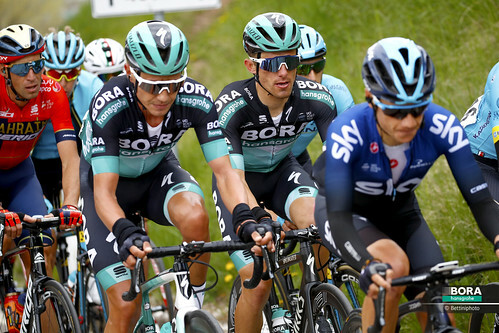 Today BORA – hansgrohe continued its racing campaign in Belgium when the team took to the Flemish one-day race Nokere Koerse. On the program stood a 195.6km-long course from Deinze to Nokere, with several cobbled sectors and seven ascents of the daunting 350m-long Nokereberg, shaking things up in the race. 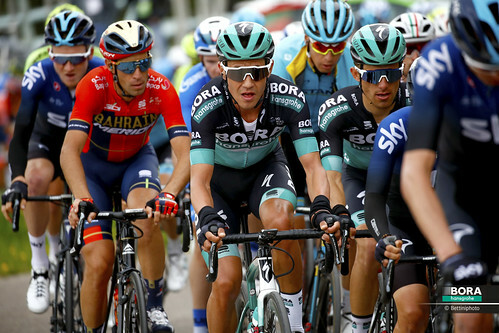 Over the first 100km or so, the peloton let the elastic stretch, giving the breakaway a gap of up to 8 minutes. 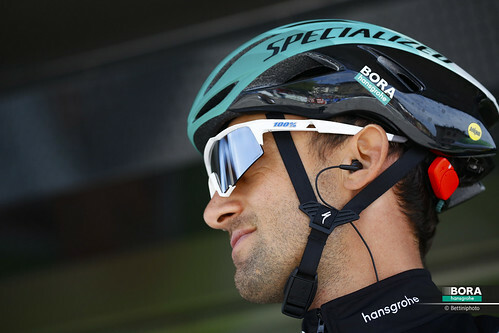 However in the second half of the race, under the pace setting meted out by BORA – hansgrohe and UAE Team Emirates, the gap to the breakaway began to be reduced. 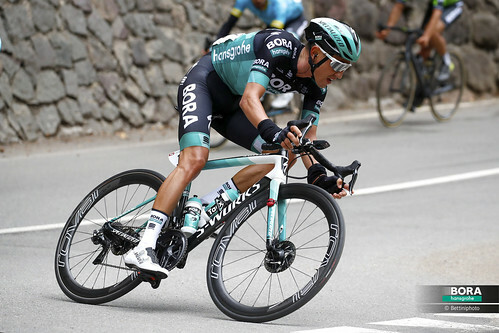 The final 30km saw a series of attacks, however, BORA – hansgrohe was always present at the head of the field to neutralise these attempts. Jay McCarthy and Lukas Pöstlberger were particularly active during this time. 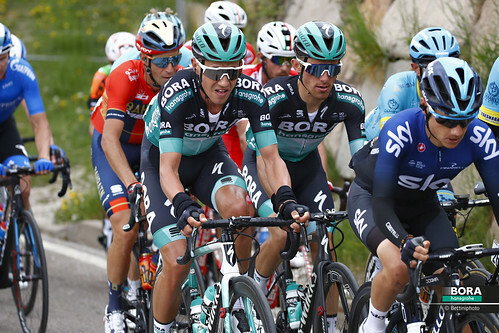 The race ended with a sprint from a relatively large group, but on the uphill finishing straight, several riders went down in a crash, which brought chaos to the final bunch gallop. After a strong lead-out from Rudi Selig, Pascal Ackermann opened up his sprint, but the German champion took off slightly too early, which allowed C. Bol to pass him at the last minute. In the end, Pascal took out second place after a very draining and exhausting day in the saddle in Belgium.